Add Security, System Health, Out-of-The-Box Analytics, Monitoring! Take Logstash collection to the next level using XpoLog bi-directional integration. Forward log data with Syslog or Http forwarders in 5 minutes and get immediate value. 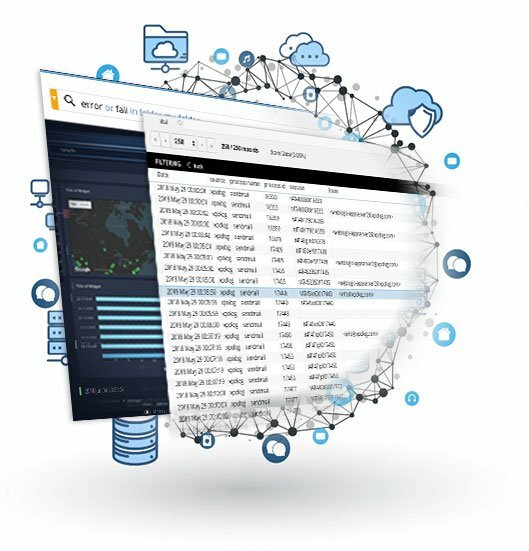 Easily add – insights, analytic apps, log viewer, visual log parsing, log monitoring with alerts, troubleshooting. Turn Logstash Events Into Meaningful Insights with a Single Click! Scan log events with XpoLog – auto-detect: exceptions, errors, and anomalies. Make smarter, faster decisions – With XpoLog’s prioritized list of all insights and intelligence based on your users’ transactions. Use dozens of analytics apps and dashboards to visualize your Logstash events – gain all the insights you need with predefined live reports, in a click. Add security, MD5 checks to the Logstash log data. Fit XpoLog’s advanced analysis to your exact needs – highly customizable. Apply dynamic monitoring rules and setup alerts. Customize your monitoring – search for data pattern, regular expression, statistics, anomalies and more, and create alerts. Alerts can be created also directly from the search engine. Alerts can be customized and reported in NOC view mode.